Ranadheera was directed by V. Ravichandran and co-starred V. Ravichandran, Kushboo and Anant Nag. Film tells the story of young rebel who kidnaps a girl and falls in love with her. He chased by police officers during their journey. Tharle Nan Maga was directed by Upendra and co-starred Anjali, Nithya and Bank Janardhan. Film tells the story of young man whose parents want him to marry a rich girl for dowry. But the son marries a poor girl and rest of story is how he convinces his parents. Server Somanna was directed by K. Vasu and co-starring Rambha, Abhijeeth, Pandari Bai and Sihi Kahi Chandru. Film is a remake of Tamil super hit Server Sundaram. Film tells the story of hotel server who falls in love with a girl. He is interested in acting and went on to achieve new heights in his career. 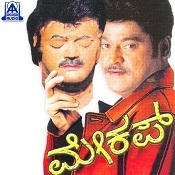 Gadibidi Ganda was directed by V. S. Reddy and co-starred Ravichandran, Ramya Krishnan and Roja. Film tells the story of young man who dreams about becoming a singer. He is helped by a young girl who falls in love with him and forces him to marry. He returns to village and marries another girl, rest of the story is how he manages two wives. Indrana Gedda Narendra sas directed by Sai Prakash and co-starred Srinath and Sindhuja. Bal Nan Maga was directed by C H Baalaji Singh Baabu and co-starred Doddanna, Ravikiran, B V Raadha, Umashri and Vanishri. Make Up was directed by Singeetham Srinivasa Rao and co-starred Shakthi Kapoor, Laila Patel, Komal Kumar and Tennis Krishna. 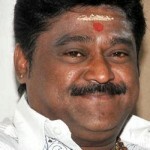 Rama Krishna was directed by Om Sai Prakash and V. Ravichandran, Kaveri and Laila. Film tells the story of two brothers of village and falling in love with two girls of neighboring village. But due to some misunderstanding their marriage could not be approved by the elders. 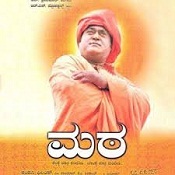 Mata was directed by Guruprasad and co-starred R. N. Sudarshan, Tabla Nani, Vaijanath Biradar and Mandya Ramesh. Film is considered as cult hit and most notable comedy films of Kannada Industry. Film tells the story of young unemployed men joining a Matt after seeing a newspaper ad for Matt administrator. Rest of the story is how these ill minded people are reformed and become good people with values. 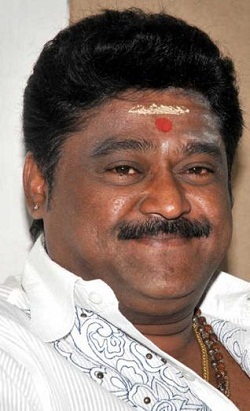 Eddelu Manjunatha was directed by Guruprasad and co-starred Yagna Shetty and Tabla Nani. Film tells the story of middle aged man who is lazy by his choice and gives reasons for being lazy. His wife faces many problems because of his laziness. He meets a blind who is very inspiration to anyone because of his dreams for directing films. Rest of the story is how he tries to find meaning to his empty life.